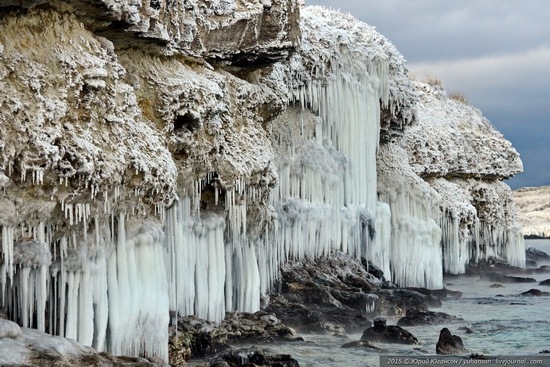 Belaya Skala (White Rock) or Aq-Qaya is a vertical white rocky wall in Crimea, located near the village of Belaya Skala. The height of the cliff is 100 meters. This natural monument was created by erosion and weathering of the limestones and sandstones. Almost all the inhabitants of the former USSR, as well as many people in the former socialist countries saw this beautiful landscape at least once because most movies about Indians and the American Wild West, shot in the Soviet era, included scenes filmed near this rock. Photos by: Yuri Yuhanson. 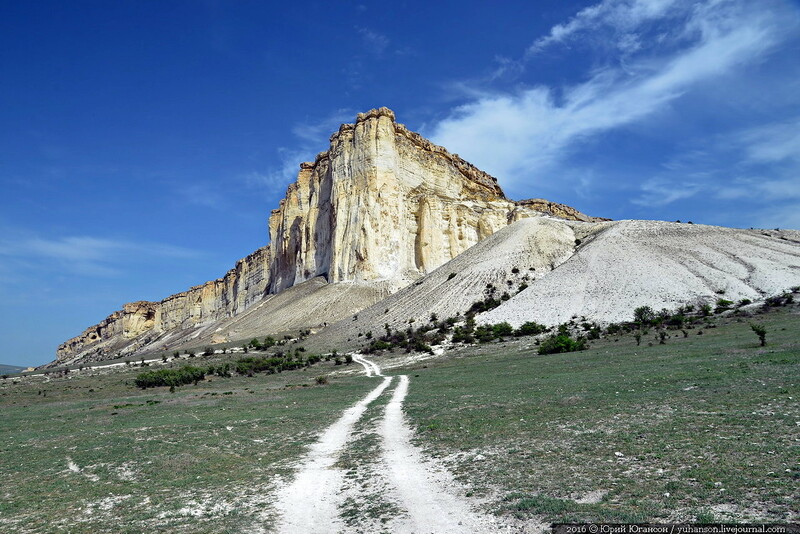 Baydar Valley is an intermountain hollow (16 km long and 8 km wide) located in the southwestern part of the Crimean Peninsula. 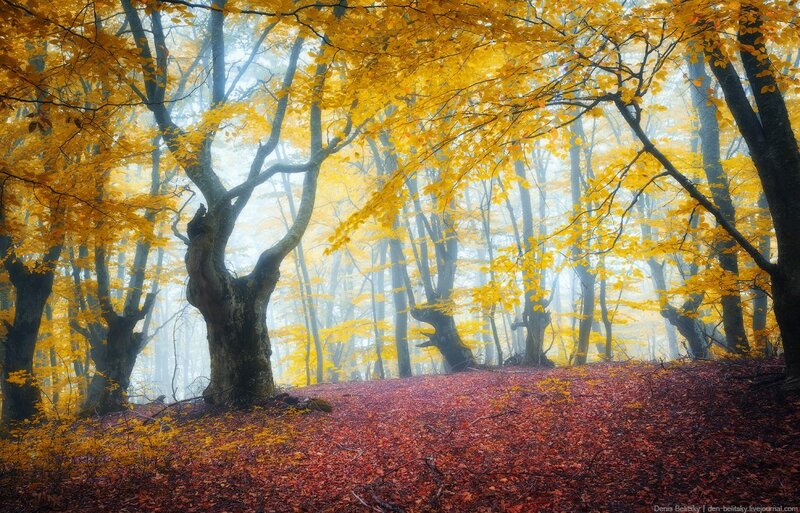 The valley is located at an altitude of 300-400 meters, surrounded by 600-800 meters mountains. 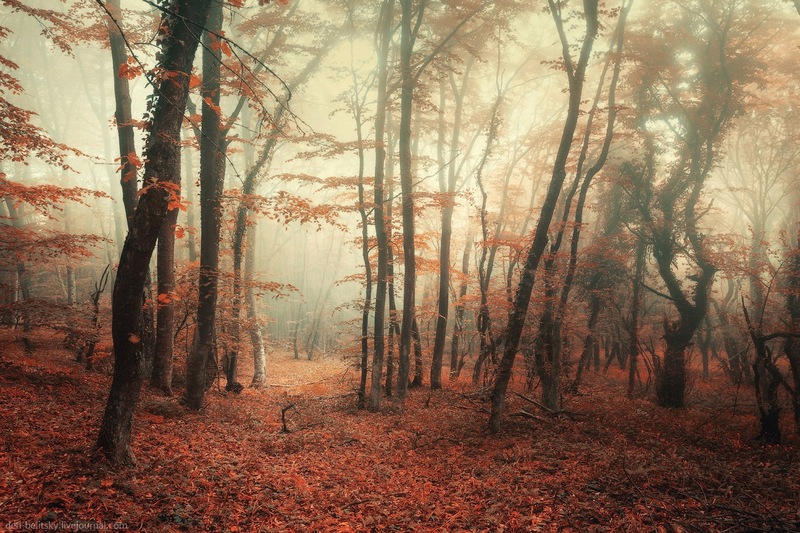 Sometimes, when the fog descends on the valley, it becomes a truly fantastic place. Photos by: Denis Belitsky. Tauric Chersonese or simply Chersonese is a city founded by the ancient Greeks located in the south-west coast of Crimea. For two thousand years, it was a major political, economic and cultural center of the northern Black Sea area. 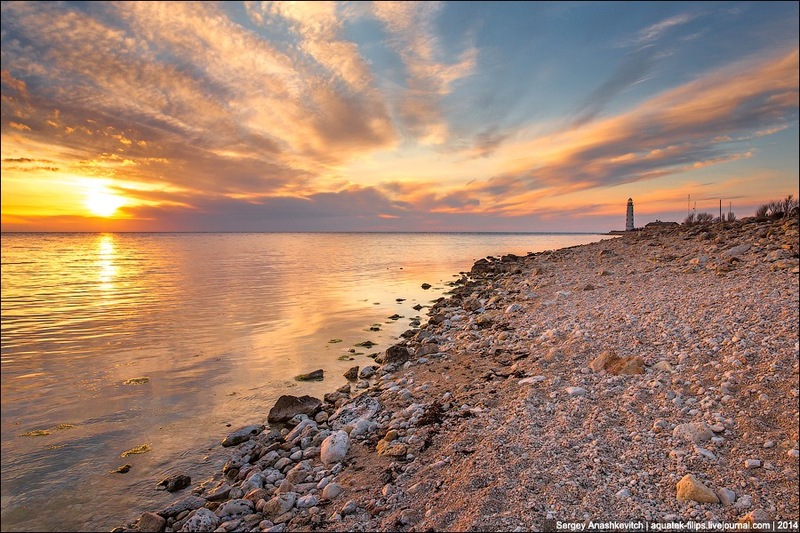 Today, you can see the remains of Chersonese in the Gagarin district of Sevastopol, it is a historical and archaeological reserve. In 2013, Chersonese was included in the list of UNESCO World Heritage Sites. The photos were taken by Yuri Yuhanson. 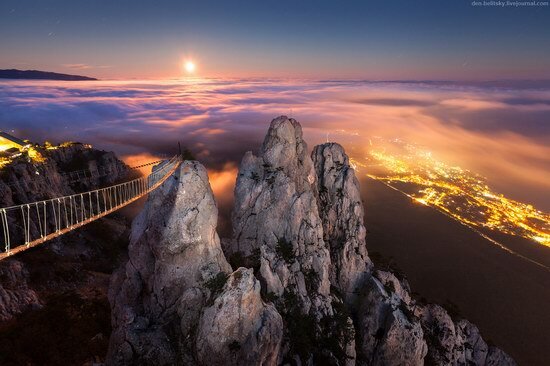 Ai-Petri is a mountain of 1,234 meters height located in the Yalta region of Crimea. The name “Ai-Petri” is of Greek origin and means “Saint Peter”. It is the place with the maximum number of foggy days in Crimea (215 days in 1970). The photo was taken by Denis Belitsky. 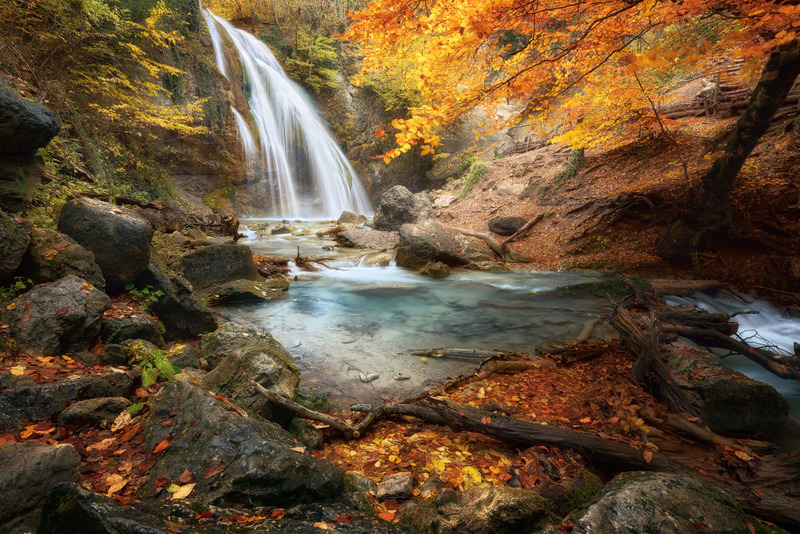 Djur-Djur (meaning “water-water” on Armenian language) is the most full-flowing waterfall in the Crimea located in Alushta region near Generalskoye village at an altitude of 468 meters above sea level. Chersonese lighthouse is located at the entrance to Sevastopol bay, in its southwestern part, at Cape Chersonese. The lighthouse was built in 1816 and throughout its long life played an important role in the history of the Black Sea Fleet. 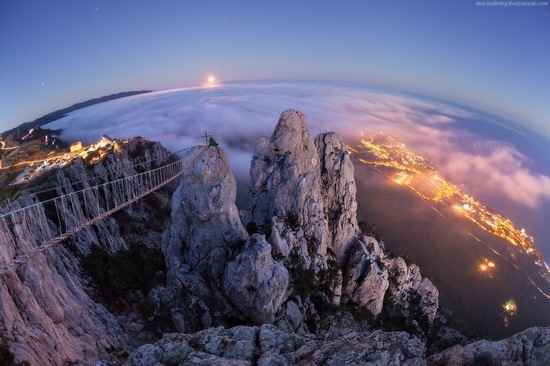 Tarhankut is a cape located in the most western point of the Crimea, on the peninsula bearing the same name. 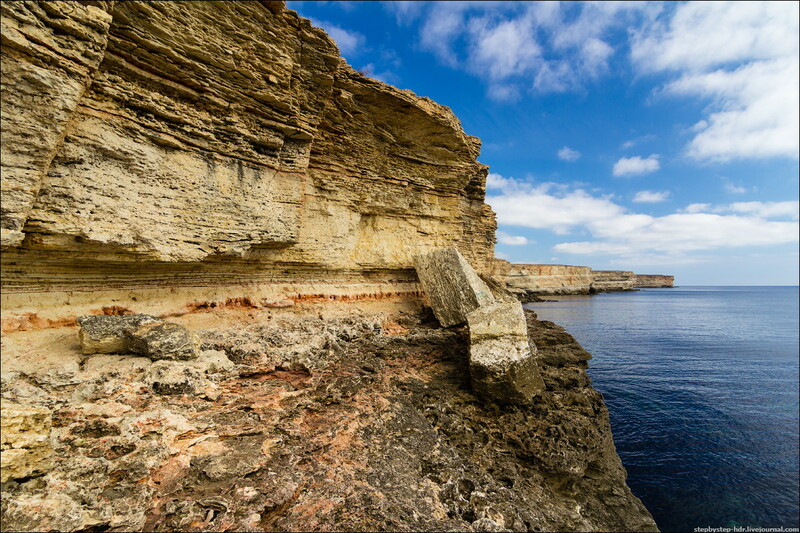 It is a popular place for diving, windsurfing, kiteboarding.